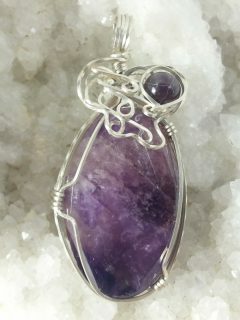 Amethyst, the birthstone for February and my birthstone, is one of my favorite gems. This faceted Amethyst Crystal pendant is made with Argentium Sterling Silver and is done in the Traditional Style of wire wrapping. 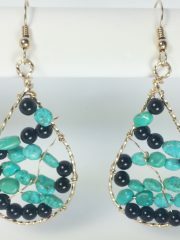 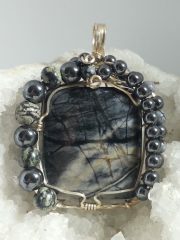 I used one large amethyst bead as an accent and although the crystal is not A quality, it is quite lovely. 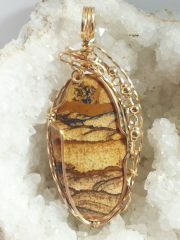 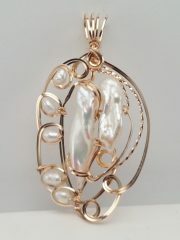 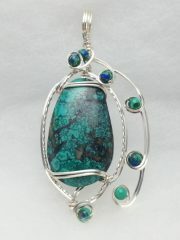 The pendant is 2 1/2″ long and 1 1/2″ wide.